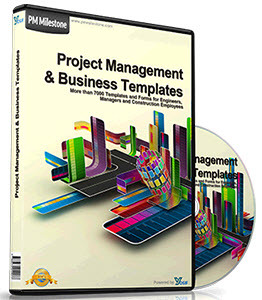 If you're set up for enterprise project management using Microsoft Office Project Professional 2003 and Microsoft Office Project Server 2003, your organization might take advantage of additional means for working with other applications. API for Timesheets. Provides an interface from Project Server and Microsoft Office Project Web Access 2003 to a third-party timesheet program or your organization's general ledger system. API for Project Data Creation. Provides an interface to easily create the minimum required elements of a valid enterprise project, including tasks, resources, and assignments. API for Enterprise Resource Pool Creation. Provides an interface to easily create and edit enterprise resources from systems in other organizational lines of business. API for Enterprise Custom Fields. Provides an interface to edit value lists for enterprise text fields, particularly integrating and synchronizing with systems in other organizational lines of business. API for Enterprise Outline Code Fields. Provides an interface to edit and integrate value lists for enterprise outline codes, particularly integrating and synchronizing with systems in other lines of business. For more information about setting up Project Server for enterprise project management, see Chapter 21, "Administering Project Server and Project Web Access for Your Enterprise."